So we’re sort of having mixed feelings right now about the upcoming change of the seasons. Here in New England, it’s been one of the hottest/sunniest weeks all summer, but the fact that it’s September is throwing us for a loop. We want to dress for fall, yet our attire needs to be able to handle these 94 degree days. We’ve realized that the best way around this is through our color choices and textures. Burgundy, black, and leather all scream fall, but the flowy silhouette and high-hems keep it summer-time cool. 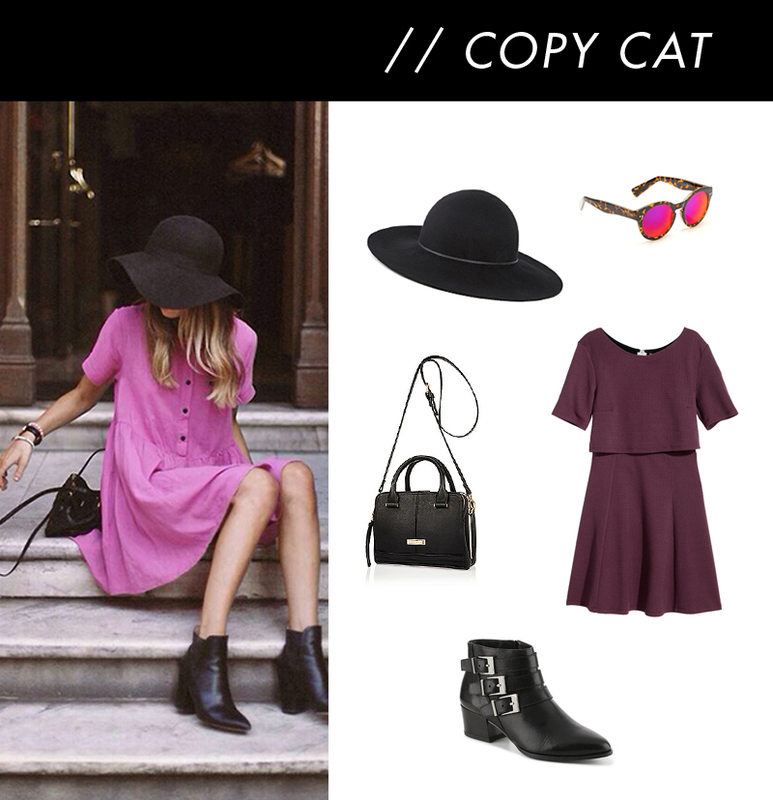 This entry was posted in Fashion and tagged Copy Cat, fall, H&M, Late Summer Copy Cat, River Island, september, summer, Summer Hats, Summer outfits by Gardenias & Mint. Bookmark the permalink.